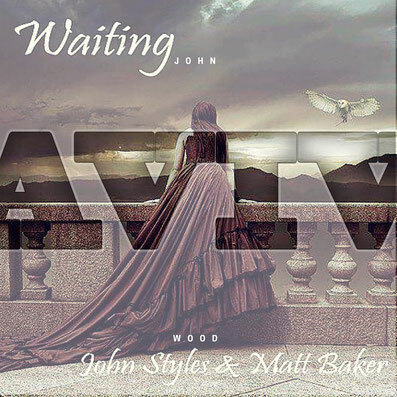 We hope you will enjoy our new song “Waiting”, may it give you all some comfort and relaxation and peace in your heart and mind. The title “Waiting” can be explained in so many different ways, as it also has more meanings to us then you might expect, we all do a lot of “Waiting” in our lives. By the meaning “Waiting for You” , with the upcoming holidays for sure many people have to wait for their loved ones to come home on time for Christmas eve, so the holidays can be celebrated together, especially when people have to come from far, and have to catch a bus, train and airplane in time to go home. As many movies were made with this subject as theme, we can all name lot’s of titles of movies which of course will be broadcasted as well during the holidays, and most of the time there’s a happy ending and everybody is happy, but not in all cases, as many of you may have experienced as well. Everybody has their own experience of “Waiting”, some are positive, some are negative as well. We tried to express our own experiences, feelings and thoughts that we couldn’t say in words, so we say it with music, as we both and our loved ones also had and still have their “Waiting” moments. “All instruments are carefully layered accompanying the piano melody, each part gives a different emotion” this remark was given while I was finishing this song in the studio, to us this is what we hope this song would do to and for you all as well. This way we also want to wish all the best to Hemmo Riihelä, Megan McCarthy and Ralf, Melanie and Florian Reichelt and all other friends and listeners we haven’t mentioned, all the best and speedy recovery, may God be with you all, and may the spirit and joy of Christmas be present in your heart, because we believe in spirit we’re all together one way or the other. To everybody in the world, we wish you all a Merry Christmas and all the best wishes for 2016. Your feedback / comments / critics are always appreciated, it helps us to develop, cheers John and Matt.